Very interesting tin hat case named to: R.A. 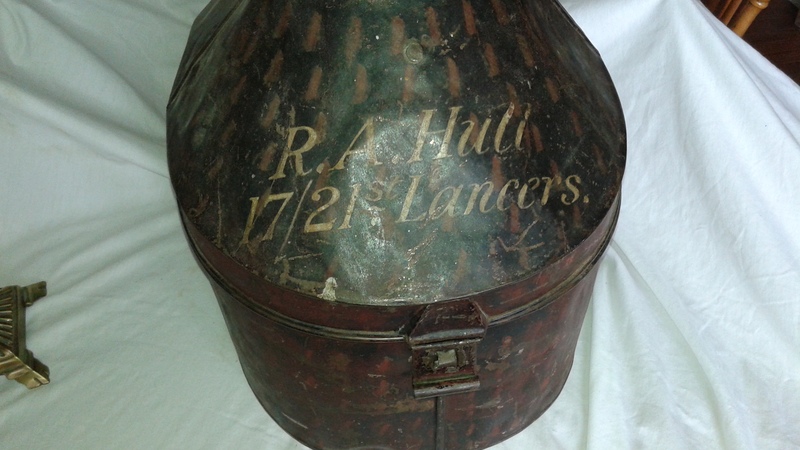 Hull 17/21st Lancers. R. Hull is in fact Field Marshall Sir Richard Amyatt Hull, KG. GCB. DSO. DL. Hull was born 7 May, 1907-17th September 1989. Although a British Field Marshall, he was for a short time in June of 42 in command of the 1st Canadian Armoured Division. For a full history of his illustrious career please see https://en.wikipedia/wiki/Richard_Hull. A very unique piece of british Second War military history with a bit of a Canadian connection.